Alameda Point beckons for Dashe Cellars, which is leaving Oakland behind. It's Oakland's loss, but Alameda's gain. Dashe Cellars is moving from its current home in the Jack London District and relocating to Spirits Alley in Alameda Point. 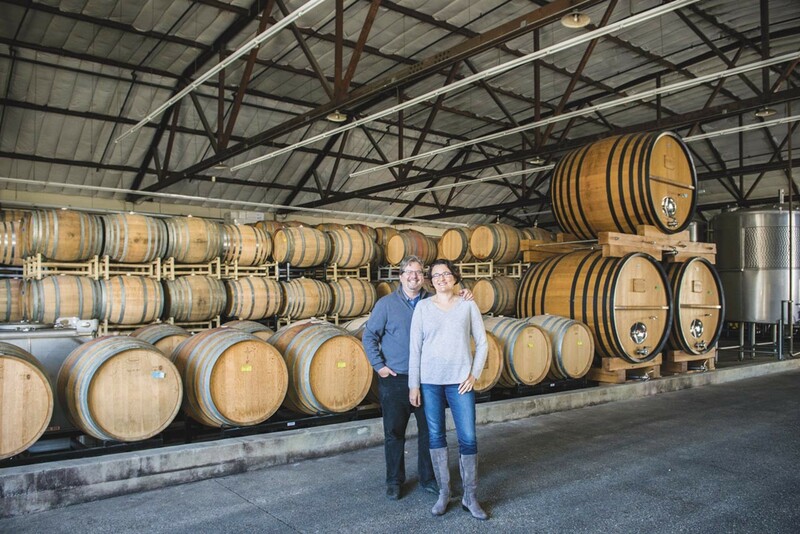 The winery, owned by married couple Mike and Anne Dashe, was founded in 1996. The winery settled into its current home in the Jack London District at 55 4th Street in 2004. When the winery first moved in, Mike Dashe said, it was one of the few wineries in the Jack London district. Eventually, other wineries followed suit, and Oakland became something of an urban winery hotspot. But when the winery's lease ended and the landlord increased the rent three-fold, Dashe said they had no choice but to relocate. The last day of service at the Oakland location will be on May 12, and the first day of service at the pop-up tasting room at their new location in Alameda (1951 Monarch Street, Suite 300) will be on May 18. Dashe expressed disappointment about having to leave their Oakland warehouse, especially after spending a significant amount of money to improve the building. But he also expressed disappointment at having to leave behind the community Dashe Cellars had built in Oakland. "We were really supported by the community," he said. "We really felt embraced by Oakland. We're very sad to have to leave it." There's plenty to celebrate about the new location, though. The new winery will be located inside an 18,000-square-foot hangar, which will be shared with Urban Legend Winery. Best of all, there's a great view of the bay. Plans are in the works to construct a family and dog-friendly deck for sipping wines and enjoying the view. "When we saw the view of the San Francisco skyline and sailboats sailing in the backyard, we knew that we needed to jump on the space," Dashe said in a press release. Dashe Cellars produces a wide array of wines but specializes in Zinfandels. The wines are made with native yeast fermentation, meaning that only the wild yeasts on the grapes are used in the fermentation process — no industrial yeasts added. To bid farewell to the Jack London space, Dashe Cellars is throwing a series of weekend events Thursdays through Saturdays from noon to 6 p.m., starting with a spring release party from Apr. 18-21. Apr. 25-28 is rosé release weekend, and May 2-5 is Zinfandel release weekend, where they'll be pouring the wines that Dashe is best known for. On May 11 from noon to 6 p.m., there'll be an official farewell party, featuring live music, Mexican food from the Canasta Kitchen food truck, and of course, plenty of wine. They'll be pouring Zinfandels, red blends including "The Comet" and "Ancient Vines," biodynamically-farmed Cabernet Sauvignon, lighter reds from the Les Enfants Terribles collection, and Methode Champenoise sparkling wine.